To be available in the Palm Store for 99 cents Nov 19th 2010! 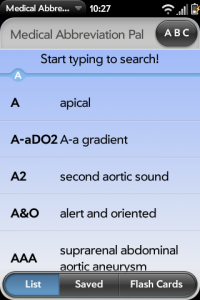 Medical Abbreviation Pal is a great tool for anyone in the medical field that needs to use medical abbreviations for charts, records, or data entry. MAP includes over 850 of the most commonly used abbreviations and there meanings, with options to search easily and quickly. You can save your favorite or most commonly used abbreviations, or copy them with there definitions to the clip board. 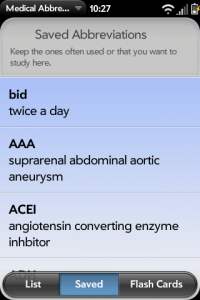 If your a student and want to study, memorize or learn them, your in luck, this app includes a flashcard practice area. You can go through the “cards” randomly, or in alphabetical order. You can also just study the ones you have saved. If you want to start with the meaning, you can do that too. Doctor, Nurse, Administrator, or Student, you will find this a handy reference. If you find any abbreviations missing, please let me know, and I will add them. 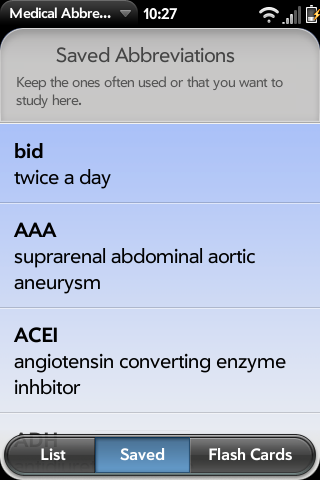 Medical Abbreviation Pal Available in English. 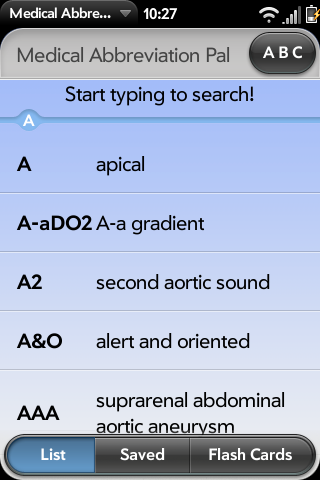 Medical Abbreviation Pal is a great tool for anyone in the medical field that needs to use medical abbreviations for charts, records, or data entry. MAP includes over 850 of the most commonly used abbreviations and there meanings, with options to search easily and quickly. 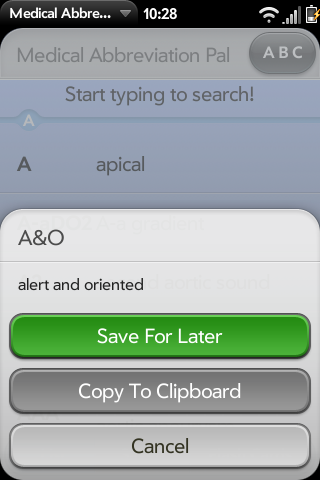 You can save your favorite or most commonly used abbreviations, or copy them with there definitions to the clip board. 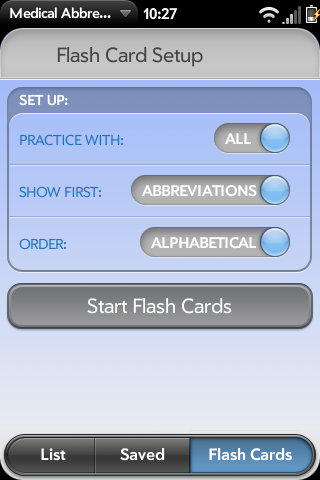 If your a student and want to study, memorize or learn them, your in luck, this app includes a flashcard practice area. You can go through the “cards” randomly, or in alphabetical order. You can also just study the ones you have saved. If you want to start with the meaning, you can do that too. Doctor, Nurse, Administrator, or Student, you will find this a handy reference. If you find any abbreviations missing, please let me know, and I will add them. This is the main list of over 850 abbreviations. 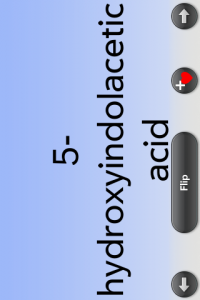 You can save any abbreviation you want, and it will show up here. Settings for the flash cards, you can pick your saved ones to work with if you like. 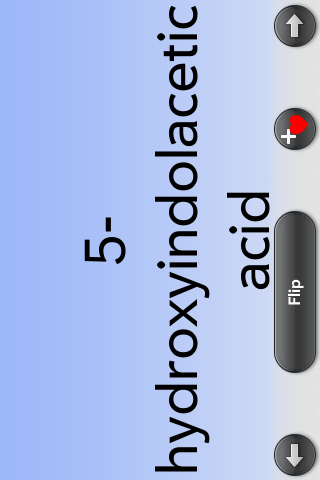 What a Flash Card looks like, flipped in this case.